Quick Dry Foam with Dacron Wrap with covers made of Premium Sunbrella Fabric. 5 Year warranty against fading. All of our Sunbrella cushion fabrics are easily removable and machine washable. Polyester non-woven wrap for additional comfort and exacting shape. 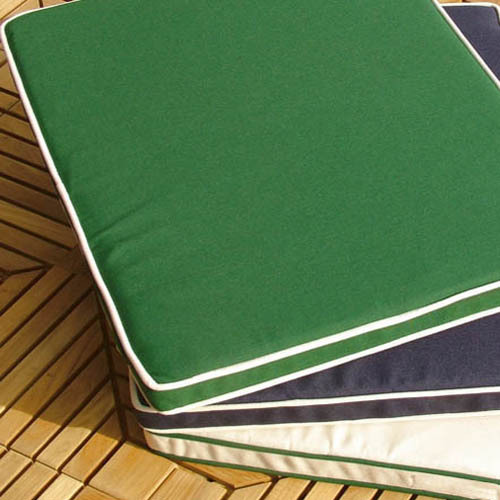 Mesh Fabric lining keeps the shape of cushion intact and help ease in replacing covers. Outer Cover – 100% Solution dyed acrylic Sunbrella® fabric. 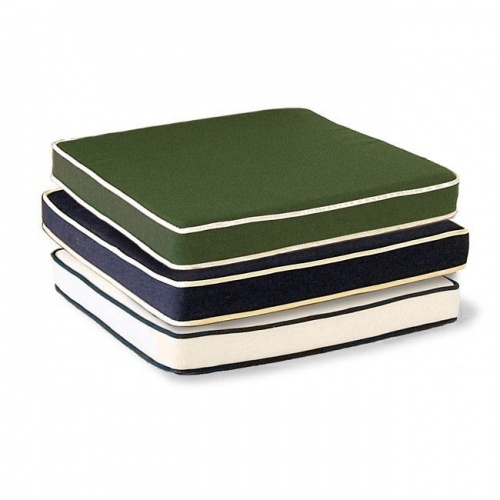 Zippered covers allows for easy cleaning, maintenance, and replacement of covers. The premium craftsmanship in our cushions is further exemplified in the details. Every cut fabric of the cushion cover is edge-serged to prevent fraying and only high performance zippers are used. * Quick Dry Foam® is a high-performance foam designed specifically for the rigors of outdoor use. 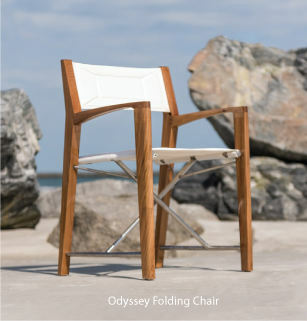 It’s porous, open-cell structure allows water and air to pass rapidly through the foam for quicker drying and comfort. It is made with Uregard, an anti-bacterial formulation to prevent mold and mildew making maintenance and cleaning easier. The time is now 08:17 AM EST!